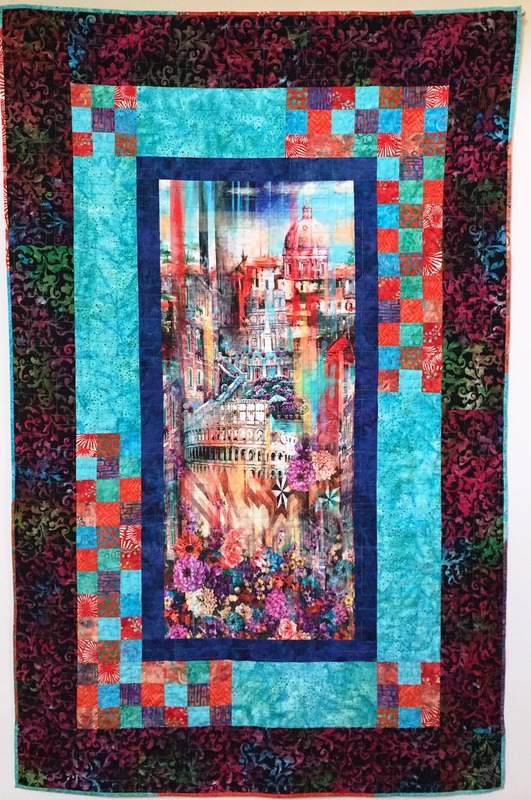 This entry was posted in A Quilter's Life, My Life as a Mom, My Treasured Heirlooms and tagged A Beautiful Day in Rome, African American quilter, art quilt, India Brantley, O.V. Brantley, patchwork, quilt, travel quilt. Bookmark the permalink. As always your quilt is beautiful! I also had a trip to London and Paris last year but obtained Paris related fabric fabric here in the states. Haven’t done anything with it. Been very lazy about quilting, but did join a local quilt guild which has inspired me to “think” about making a DST t-shirt quilt.